Bust or boon? The ethical and judicial practices of the recent increase in demand for Ukrainian surrogacy has made many headlines as of late, but what’s really behind this surprising upshot in demand? With every economic boom there are expected pitfalls and problems, and what can we expect to come of this recent change? Reports circulate that demand for surrogacy in the Ukraine has increased by 1000% since 2016. Most attribute this to Asian countries, like Thailand, Nepal, and India closing surrogacy programs in light of allegations concerning abuse and exploitation of women. However, where there are desperate couples in dire need of a genetically linked child, there will be demand for surrogacy. In response to the destruction of the Asian market, Ukraine has poised itself as a prime leader in Europe’s Surrogacy Programs. Legislation, put in place in 2002, is a large contributor to this, making the process for both intended parents and surrogate mothers alike easier to reap the benefits that surrogacy has to offer. In 2002, strict and explicit legislation concerning Ukraine’s surrogacy laws was enacted. Laws including forward thinking precedents on who the child legally belongs to and how the surrogate mothers will be compensated are just the start. Ukrainian law is much more clear than many other countries that offer surrogacy. Many European countries have fallen to chaos amidst severe and binding limitation on surrogacy laws. Aspects of Ukrainian law state, that in all circumstances the child belongs directly to the genetic parents, and at no time, nor in any situation is the surrogate mother allowed custody of the child. It even goes as far as to inhibit the surrogate mother from providing any genetic material towards the birth at all. Also, surrogate mother candidates must be in prime health, between the ages of 19-35, and already have at least one child of their own. Thus dispelling the long heard concern of surrogate mothers petitioning to keep the child after birth. In point of fact, since the advent of their surrogacy laws and the increase in demand for surrogates, the Ukraine has no reported incidences of surrogate mothers petitioning for custodial right at all. Which is an impressive feat, seeing as how, on average, there are an estimated 120 surrogate births in the Ukraine per year.A figure that is projected to rise by another 40% by the end of 2018. Medical care is another encouraging factor in the burgeoning surrogacy industry. For surrogate mothers, regular check ups and full health consultations are required. Most surrogacy programs have contract agreements with specific medical centers ensuring the health and safety of both mother and child. With laws in place, surrogacy has quickly become an accepted topic of discussion amongst both the public and healthcare providers alike, spawning a plethora of new facilities that are made to specialize in the specific health concerns of surrogate mothers and intended parents. “Until recently, it was almost never discussed in Ukraine and people therefore did not think of surrogacy.” One doctor points out. “Now it is actively discussed in society and medical technology is evolving.” With this evolution comes the promise of new jobs, better equipment and facilities, and an increase in demand across the scientific medical spectrum. Another enticing point is the price tag, or lack thereof. Surrogate programs in the Ukraine are roughly one third of what they would run in other countries. Willing mothers and a low cost for living expenses and medical fees ensure that that price tag should remain reduced compared to other countries that offer surrogacy programs. Although it is not without its own brand of trials and tribulations. For many European couples outside of the Ukraine, getting the child back to their home country can prove to be costly and dangerous. There is currently no comprehensive international legislation concerning surrogacy within the European Union. Even though some nations have laws in place that would protect the rights of surrogate born children and their families, some have fallen woefully short of protecting their citizens. Stories of a French couple attempting to smuggle out twin girls and a homosexual Belgian couple who was engaged in a two year long legal battle attempting to gain custody of their surrogate-born son, are cautionary tales to any European couple seeking a child through surrogacy. For Western couples hailing from the United States, however, Ukrainian surrogacy is a choice option. Many clinics, like Ilaya, offer full surrogate packageswith upfront pricing and legal transparency with surrogates from the Ukraine. Most packages even include the clarification and processing of confusing litigious practices and citizenship requirements that can cause difficulty for extra national parents. In the US, surrogacy is a deeply nuanced grey area in the eyes of the law. Some states ban it outright, while others have strict limitations on what constitutes need for surrogacy. On top of the litigious headache, many surrogacy programs in the US start their pricing structures at around $80,000. So it’s clear to see why so many American couples choose their surrogate from the Ukraine. Laws and travel restrictions regarding custody and surrogate children born abroad are lax, and require little effort and cost. However the surrogacy programs in the Ukraine are not without their faults. Some women’s rights groups report growing fears of poor women being taken advantage of as the industry grabs hold. Worrying that as demand is increasing at such an astonishing rate, law makers, physicians, and supervisory boards may not be able to keep up, allowing for dangerous gaps to develop that surrogate mothers may fall through. A Ukrainian surrogacy agency representative warns that “If you are going through an illegal company or if you are trying to find people on the Internet, you cannot be sure about anything. 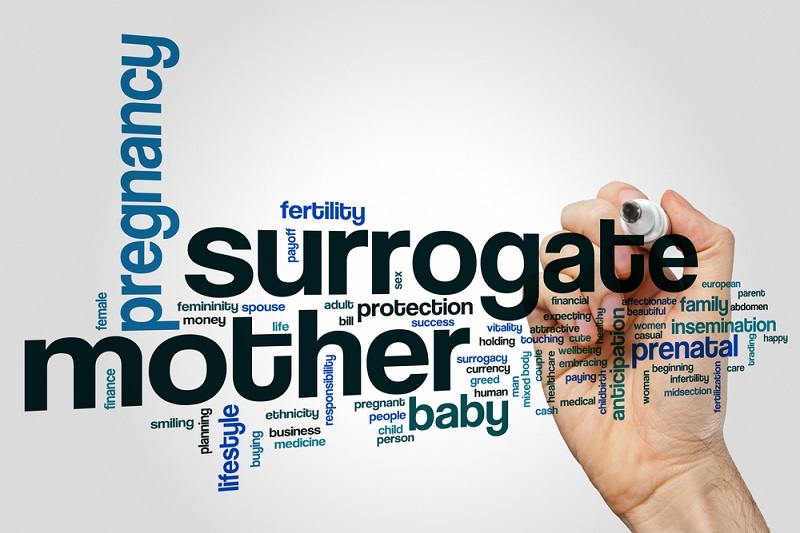 That’s why problems, for example the surrogate mother not receiving any payment, can happen” Experts stress that any couple looking to secure Ukrainian surrogacy look for a reputable and legal agency that is based in their home country, so that any laws or administration can be navigated properly, ensuring the health and safety of both the intended parents and surrogate mother alike. Ukrainian lawmakers also stipulate that couples must be heterosexual, married, and supply medical evidence that they are unable to conceive, knocking some prospective parents out of the running. Some law makers attest that these rules are put in place to assure both parties that “the child is wanted and will be properly taken care of following the birth”, hopefully filling any gaps that could arise from would-be parents changing their minds. Horror stories abound, however, about some surrogate mothers being abused or in turn, abusing the system. With a lower standard cost of living and poor paying jobs, some fear that Ukrainian women may gravitate towards surrogacy for “the wrong reasons”. Suggesting that, with no better jobs available, women who are not physically or psychologically fit for the procedure may try to circumvent law and find prospective parents via the internet, or associate with illegal companies. This presents a two fold problem. Reports have been found stating that some surrogate mothers have failed to be compensated following their pregnancy term in cases of spontaneous abortion or other complications that may endanger the health of the mother herself. Many women fear backlash or lack the means to contest these situations. But even despite of all of the controversy surrounding surrogacy Ukraine, demand is still increasing and healthy babies continue to be delivered to their happy families, because overall the laws, and the price tag, that the Ukraine can offer to couples seeking assistance with their fertility issues are the best available at present.